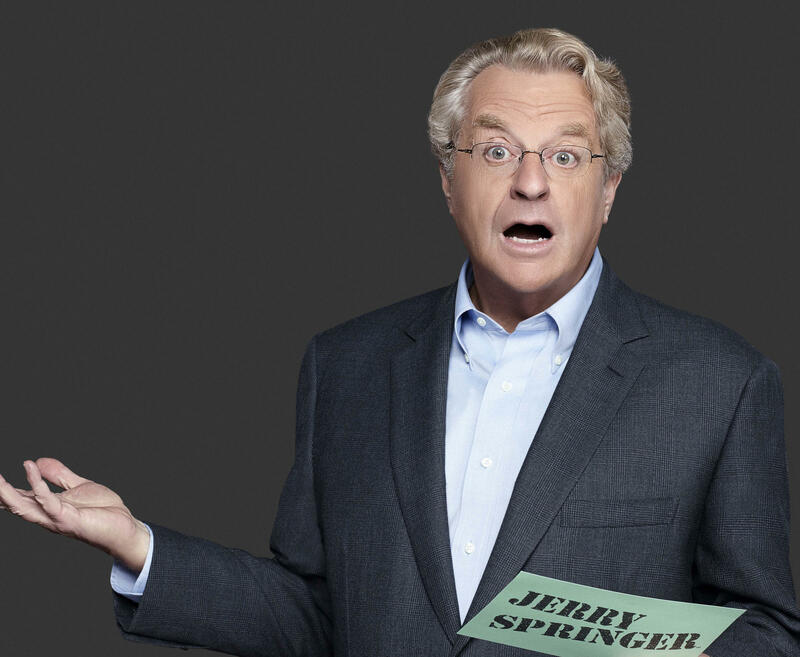 "Judge Jerry" Springer premeires on 206 TV stations in September. Judge Jerry will debut in September on 206 U.S. television stations, covering 99 percent of the nation, NBCUniversal Television Distribution says. Promotional photo for Springer's daytime talk show in 2014. As I wrote in November, it was nearly certain to air in Cincinnati because the owners of WXIX-TV (Raycom), WKRC-TV (Sinclair), WCPO-TV (Scripps) and WLWT-TV (Hearst) has bought Judge Jerry for some of their stations. Back-to-back half-hour episodes of Judge Jerry probably will air at noon this fall on Channel 64, says Jon Lawhead, Sinclair Broadcast Group manager for WSTR-TV, WKRC-TV, Dayton's WKEF-TV and WRGT-TV, Lexington's WDKY-TV and Toledo's WNWO-TV. Channel 64 currently airs Divorce Court, Judge Mathis, The People's Court and Hot Bench. Springer, 75, came to Cincinnati in 1968 after earning a law degree from Northwestern University, and working on Sen. Robert Kennedy's 1968 presidential campaign. After Kennedy's assassination, he worked for a Cincinnati law firm before running for Congress unsuccessfully in 1970, winning a Cincinnati City Council seat in 1971, and later serving as mayor. 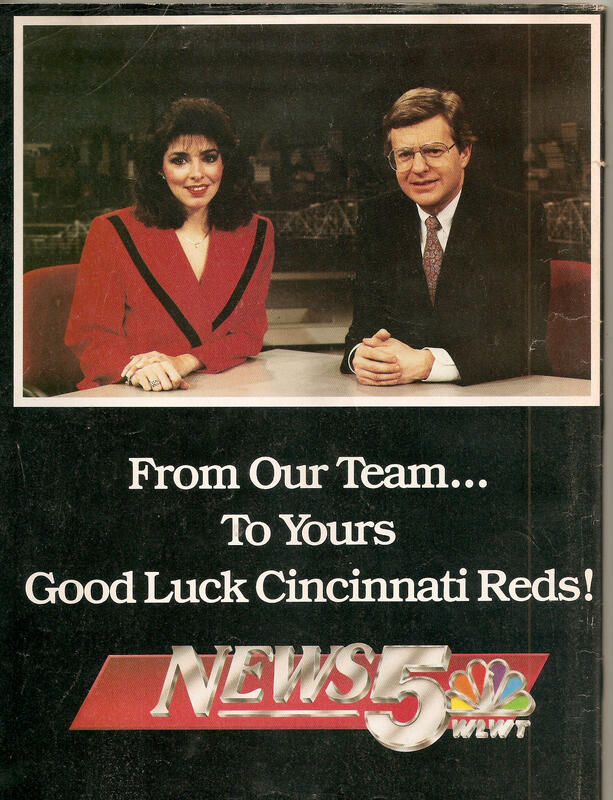 Springer and co-anchor Norma Rashid appeared in a WLWT-TV advertisement in the Reds' 1990 yearbook. He joined WLWT-TV as a political commentator in 1982, after an unsuccessful run for Ohio governor against Richard Celeste. Springer was named Channel 5's news co-anchor with Norma Rashid in 1984, and remained primary male anchor when his daytime talk show started at WLWT-TV on Sept. 30, 1991. His daytime show ceased production last spring after 27 years, although reruns air nationally on the CW network, including 3 p.m. weekdays on Channel 12.2 here. Judge Jerry will be taped in front of a studio audience at the Stamford Media Center in Stamford, Conn., where he taped his talk show. It's also the home for NBCUniversal's Maury Povich and Steve Wilkos shows. Springer taped the pilot last fall. The @JudgeJerryTV Twitter account tweeted this week that free tickets are available to tapings in Stamford by calling (475) 333-1020. And anyone "in the middle of a legal dispute and needing Judge Jerry's help" are asked to call 1-833-JERRY-99 (833-537-7999. Springer still comes to Cincinnati regularly to tape his Jerry Springer podcast at the Folk School Coffee Parlor, 332 Elm St., Ludlow, Ky., with longtime friend Jene Galvin. The progressive Democrat with a self-effacing sense of humor won several regional Emmy Awards for his nightly WLWT-TV news commentaries in the 1980s.